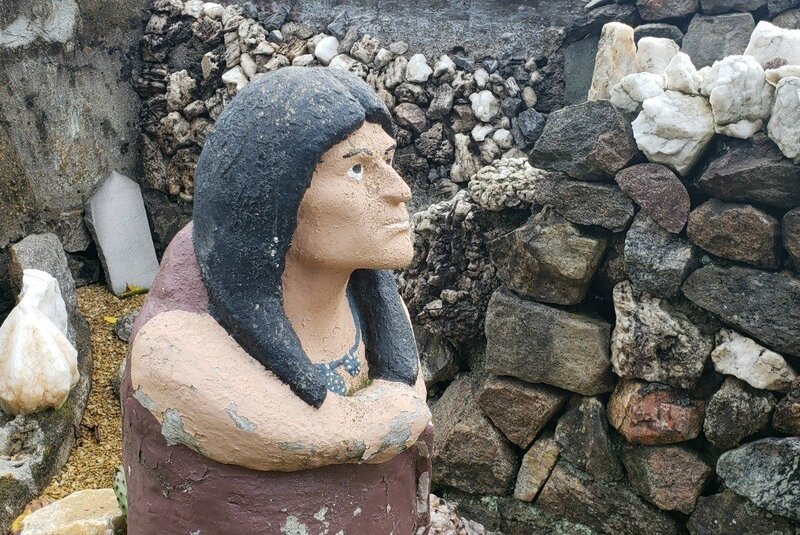 It’s not a secret that I love roadside attractions (you can find more quirky stops I’ve made here). I estimate that over the years, I’ve easily stopped at over one hundred. But of those, a small percentage have been so remarkable that I would visit them repeatedly. The Hartman Rock Garden is one of those. 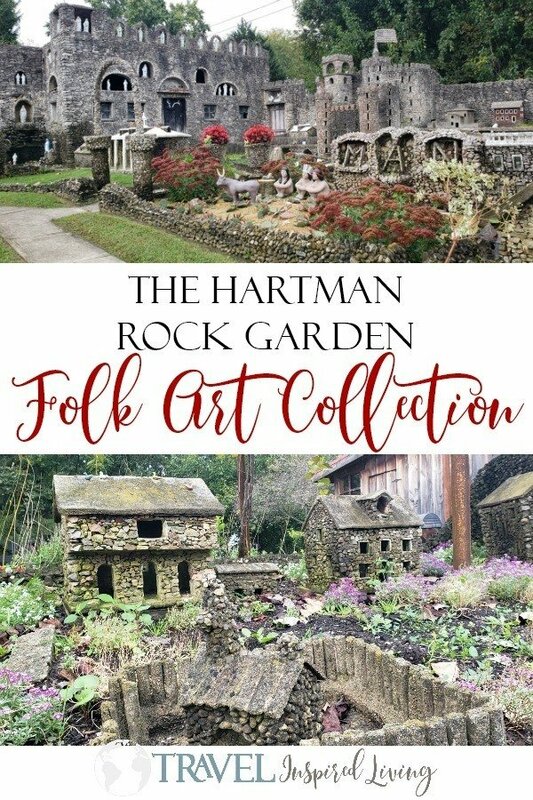 The Hartman Rock Garden is classified as folk art. You may wonder what the difference is between folk art and fine art. Don’t worry, I did too so I looked it up to be clear. Those who create fine art learn and hone their skill through rigorous formal instruction while folk artists are largely self-taught. The creator of the garden, Harry George “Ben” Hartman, didn’t set out to make something grand. He was simply a molder at the Springfield Machine Tool Company foundry who found himself with too much time on his hands when he was laid off during the Great Depression. To stay busy, he decided to make a cement fishing pond in his backyard. By the time that was completed, he was hooked. 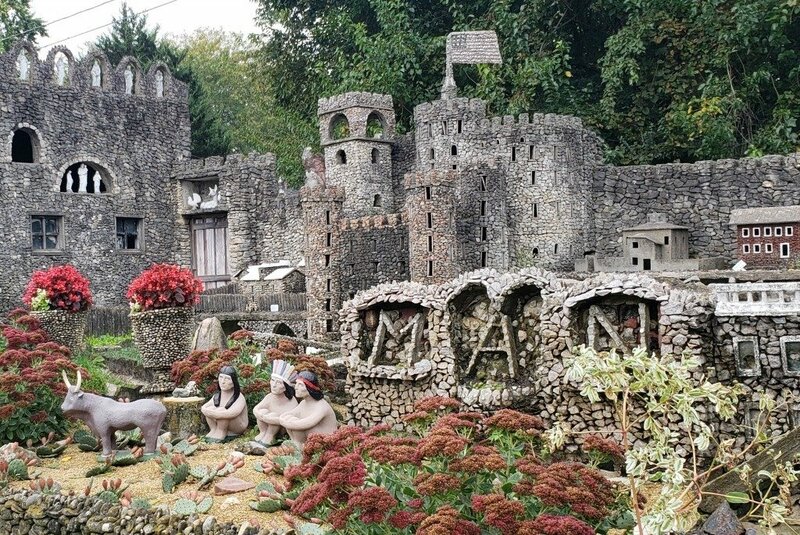 His rock garden began to take shape as he constructed handmade figures and over 50 structures. 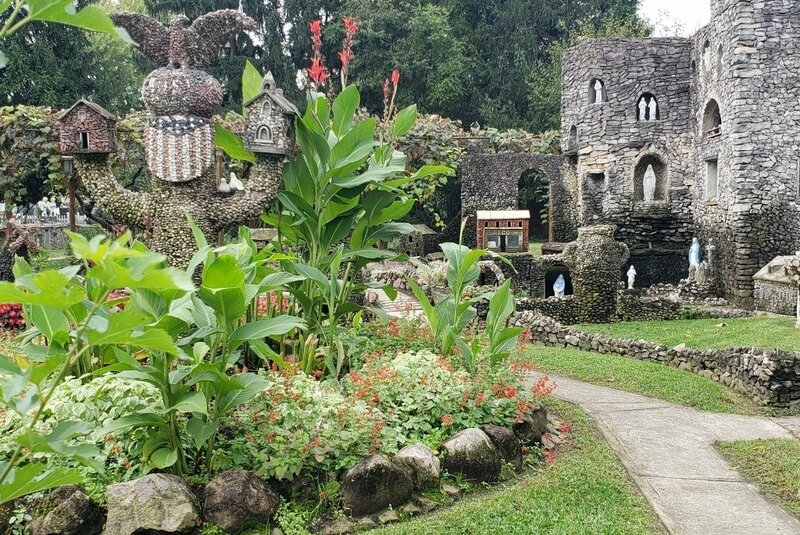 As you walk through the garden, you’ll see three main themes; history, religion, and patriotism. All three are symbolized in the large Tree of Life that is made of Red Granite and Mixed-Stone. One of his favorite pieces, the tree symbolizes three areas of his life that he held dear, his love for his country, school, and church. It’s estimated that approximately 20,000 stones were used in the construction of the tree that stands roughly seven feet tall. 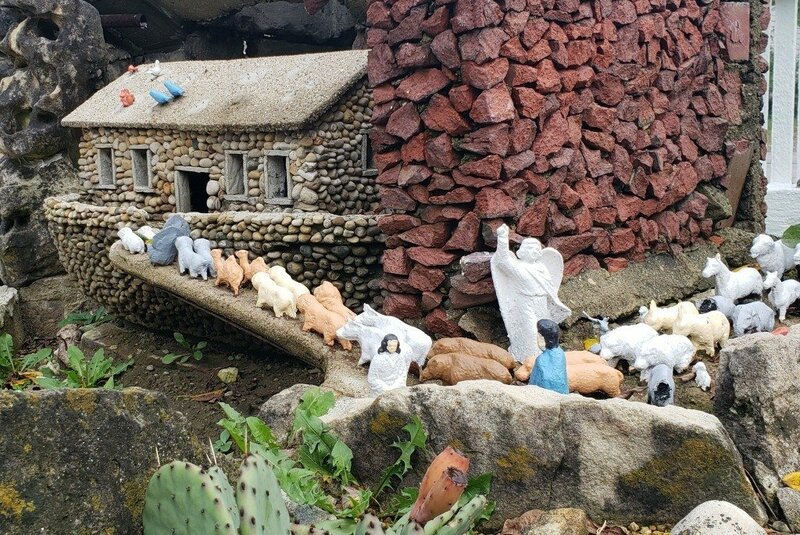 As you look around you’ll find miniatures of local homes and stores, the White House, the Betsy Ross House and other properties that were significant in history. Many tell a story. 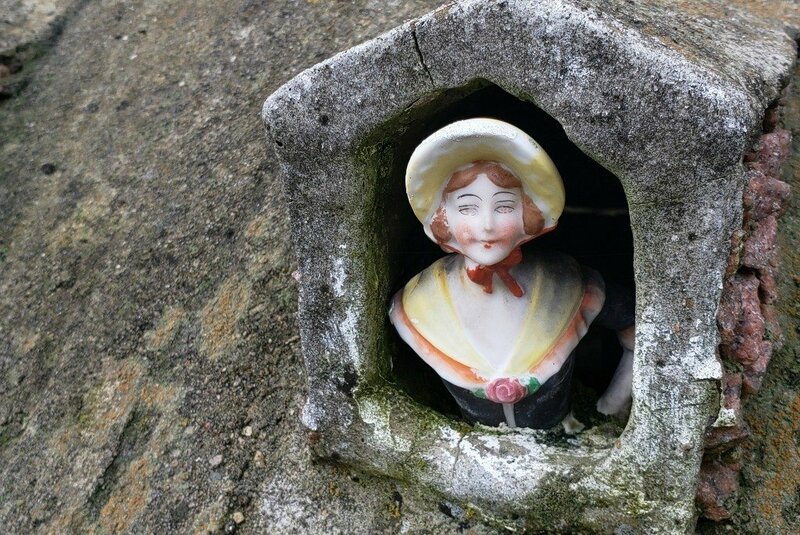 This tiny figure looking out of one of the attic windows is Fritchie. You’ll find scenes like this everywhere you look. From Sitting Bull to animals loading onto Noah’s Ark, to a depiction of the Last Supper, each scene was painstakingly created by Ben. I was amazed by the attention to detail evident in the artsy rock scenes. 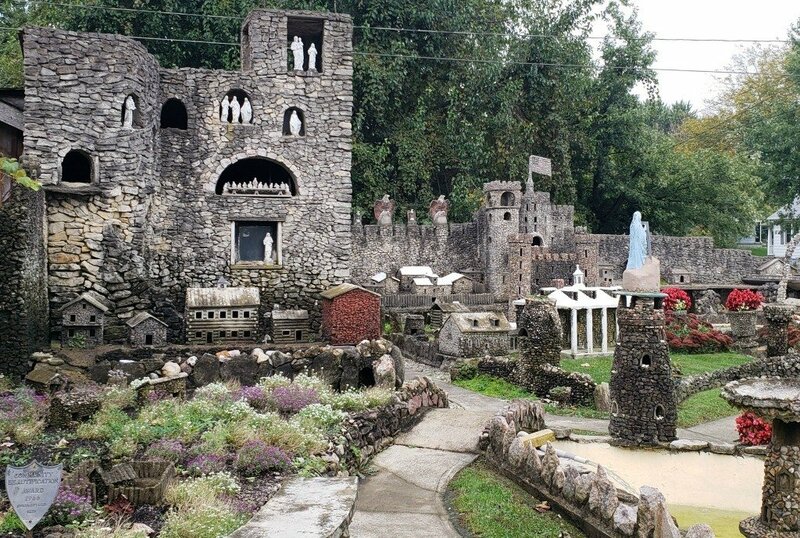 Ben returned to work in 1939 after a seven-year layoff having fashioned hundreds of thousands of stones and buckets of concrete into a piece of folk art that is considered one of the most esteemed collections of folk art in the United States. 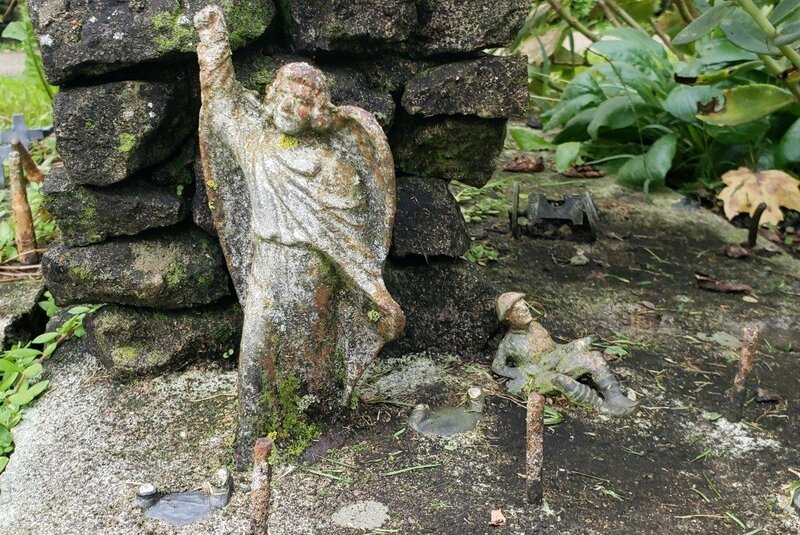 Ben died in 1944 from lung disease due to his job at the foundry but his wife, Mary, stepped up to maintain the garden, caring for the flowers and welcoming visitors until her death in 1997. The garden began to deteriorate and in 2008, the Kohler Foundation out of Wisconsin stepped in to save the day. The foundation is an art preservationist group and has worked on projects like the art environment of Pasaquan in Georgia to restore and preserve them for future generations to enjoy. 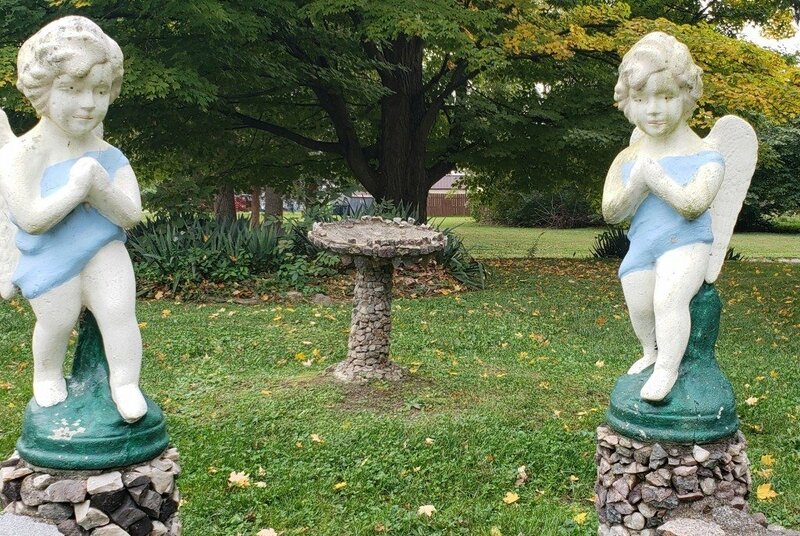 The restoration was completed in 2009 and Kohler, who had purchased the property, transferred ownership to the newly-formed Friends of the Hartman Rock Garden. The garden is a true treasure and delight for all. 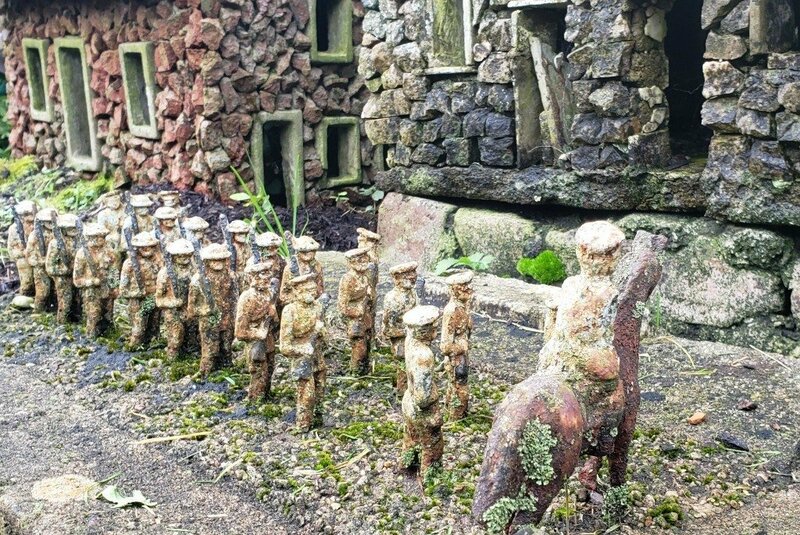 Young and old will be amazed at the displays and scenery as you view the unique work of art at the rock garden. It’s hard for me to imagine the patience and dedication that went into creating such a heartfelt piece of work that has been enjoyed for over 80 years. If you’re like me, you’ll visit once and then you’ll make an excuse to visit again to see all that you missed the first time. Here are a few tips to help you get the most out of your visit to the Hartman Rock Garden. Guidebooks are available onsite and at the Greater Springfield Visitor Center. The small book will tell you about Ben and his wife Mary as well as describe the various sculptures and buildings on the property and includes a handy map for easy identification. 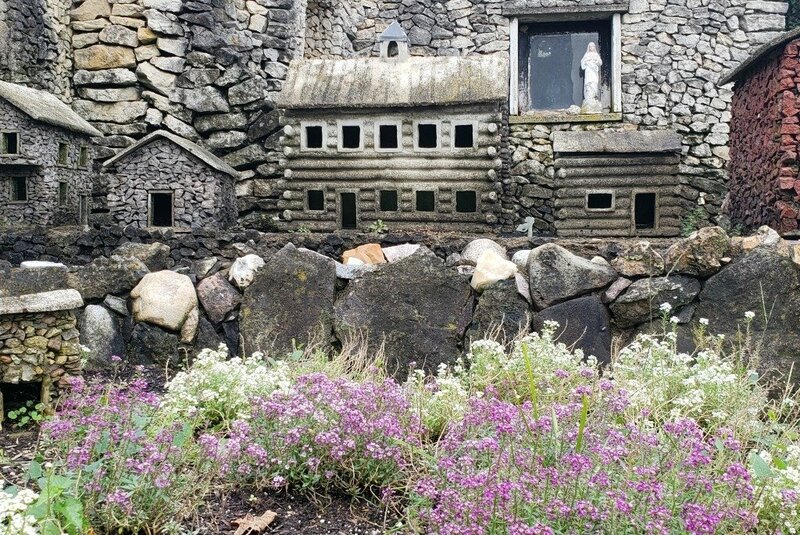 While you could stop and “see” the garden in as little as five or ten minutes, the rock garden is storytelling at it’s finest and deserves to be appreciated. 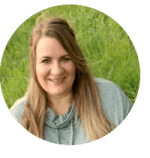 Plan to spend a minimum of 30 minutes on the property but I’ll warn you now that if you truly look at what you see around you, you’ll find so many details that it will be hard to see it all on your first visit. Look high, look low. Stoop down to look inside the buildings. You’ll be amazed at the detail that Ben put into the sculptures. Stay on the paths and don’t walk in the flower beds. Don’t touch the structures. Remember, this is art which deserves to be appreciated and not touched. There are no restrooms on the property so make sure you stop for a poddy break if necessary before your arrival. 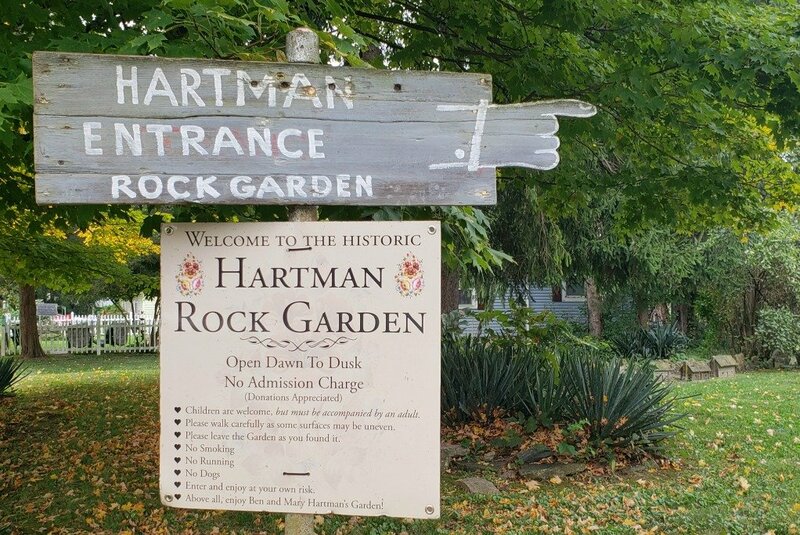 The Hartman Rock Garden is FREE, but donations are encouraged. Guided and behind-the-scenes tours are available if you schedule them in advance. I REALLY wish I had researched this attraction a bit more prior to my visit so I would have been aware of the behind-the-scenes tour which allows you to learn more about the collection, the ongoing preservation and to see some of the figures that Ben created that can no longer be kept in the garden. Hours: Open 365 days a year from dawn to dusk. Cost: Donation only for self-guided tours. There is a fee for guided or behind-the-scenes tours. 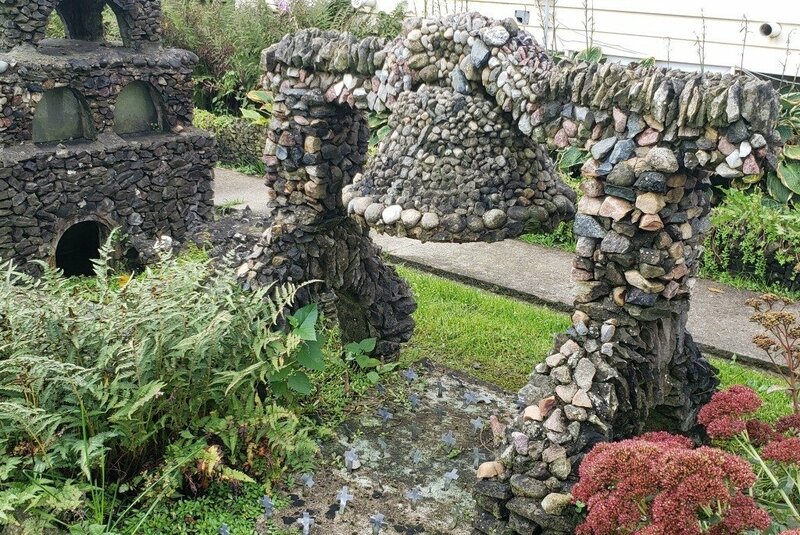 Have you been to the Hartman Rock Garden in Springfield? If you have, what was your favorite scene? It’s very impressive. It amazes me that one man’s hobby can turn into a garden that has been enjoyed for generations. The Hartman Rock Garden looks like a labour of love! Finding gems like this is one of the joys of travel. I love gardening and seeing your photos makes me want to go out and fix up my own garden! It certainly does! And his love of history certainly shows through. Now this is the kind of off-the-beaten-path attraction we like to explore. 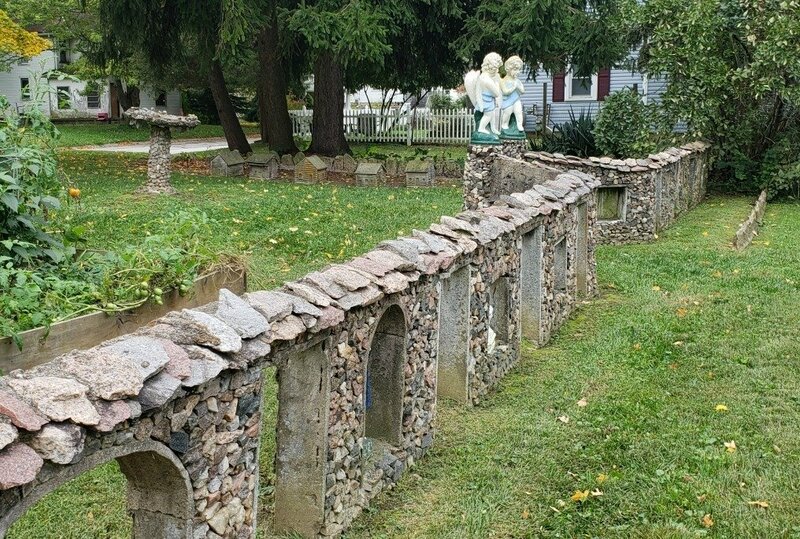 What an interesting story about the Hartman Rock Garden. And well done to the Kohler Foundation who stepped in to restore the garden. PS: I love the miniature soldiers! Aren’t the soldiers the cutest? I love all the detail in the garden. I love that level of creativity and drive to bring the stone garden to life. The passion is evident in all the amazing pieces that have been sculpted, each with a story to tell. It’s quite impressive and it looks like the secret treasures are in the details. You are right about researching activities beforehand, a behind the scenes tour would be really cool. Great review! We went this summer for the first time and it really is amazing! What a fascinating piece of Americana! 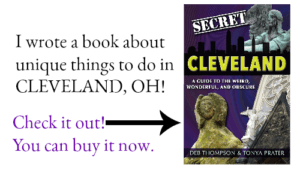 I had no idea the US had such interesting roadside attractions! Thanks for giving a sense of scale with the seven-foot stone tree. 20,000 stones is a lot! The craftsmanship of all the pieces is amazing! Good to know that there is a behind the scenes tour available, I’ll definitely have to check that out and learn more about the garden. Thanks for sharing! 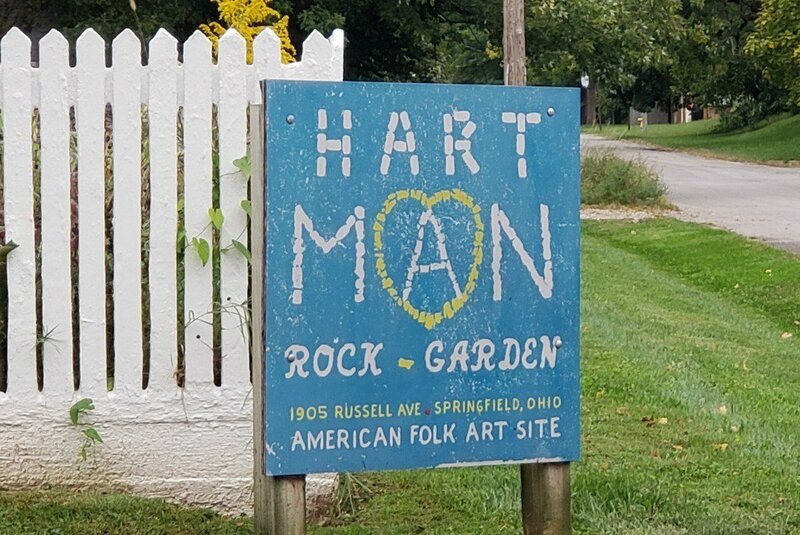 I’ve never heard of the Hartman Rock Garden, but it sounds so cool! I’d love to see all the miniatures, especially of the White House. I bet it’s also beautiful in the fall, with the changing of the leaves. Just the kind of hidden gem I am always looking for! Isn’t it fun to find something that tells a story? Plus, it’s pretty amazing what a person can do with time on their hands! It’s really detailed. When I first read “rock garden” I guess I expected just rocks arranged. 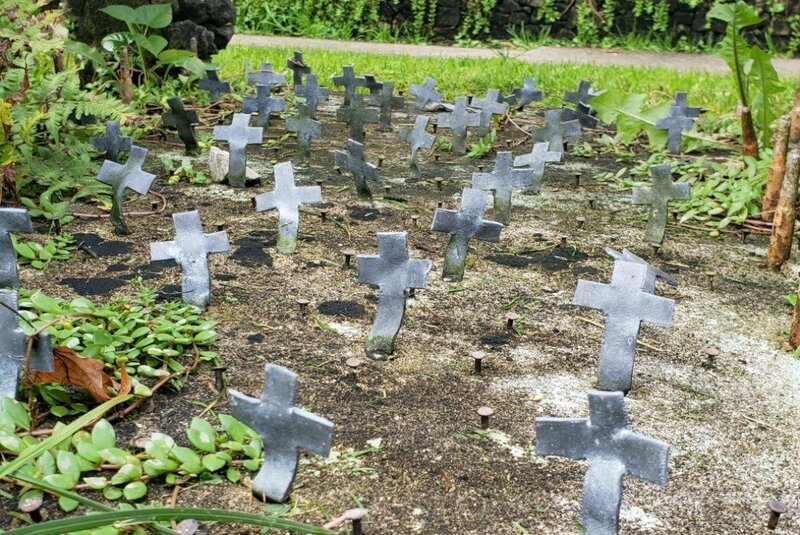 But this is more than a rock garden. There’s sculpture work here too. It’s lovely that it’s been maintained all these year’s after Ben’s death and that it has managed to remain a free attraction too. Wow… what a unique spectacle. I love it when a little bit of creativity transports you to a different era. It is great that they have captured traditional Native American scenes too. And it is also free! I don’t mind donating something here if that helps to keep ot free for those who need it. What a neat location. Very interesting sculptures and artwork.